Middle aged. Considered by many to be reasonably intelligent and above average at satire and humor. But honestly, it depends a lot on who you ask. My guiding principle in life is irreverence. Otherwise, it’s hard to be funny because a lot of stuff is off limits. As I was wandering through life minding my own business, I got breast cancer. Not fun, but I got a book out of it and then went back to doing my whole life thing. Problem is, I was just getting back in my groove when I was hit with a kind of serious chronic lung disease. Sheesh. I still have my mojo! But I’m trying to adjust to life in the slow lane. Not my typical speed but left with no other choice, well, I’m just going to stick my head all the way out the window and pant and hope I look as cute as a dog. I have a lot of random musings and think you might even be interested in them. If you find yourself giggling (don’t hold back!) you should immediately buy my book! I have been married since 1988 to my college sweetheart Dan. He is an amazing man and I still can’t figure out why he puts up with me, but he will probably snap one day and smother me with a pillow. No one, including me, will be surprised. I am happily Childfree but that doesn’t mean I don’t like kids; I just never had the overwhelming desire to take responsibility for an entire human being for 18+ years. I’m the doting aunt of a niece and two nephews, all of whom are now young adults, and in my humble opinion the most talented and interesting people I’ve ever known. They also help me stay current on the latest slang so I can go on with my bad self. If Witty Banter was a career, I would finally know what to do with my life. The filter between my brain and my mouth is occasionally leaky. I am fiercely loyal. I am a master of sarcasm, and if eye rolling was an Olympic sport, I’d take the gold. I try to do the right thing even when no one is looking. I believe deeply in human rights, animal rights, and the empowerment of women all over the world. Except the ones who get on my nerves. Don’t judge. I’m looking forward to following your blog… I love snark! Jill, your blog looks like so much fun! I found you via a mention on Kate Crimmons’ blog ~ she’s hysterical too. Looking forward to following you and reading much more! Thanks Carol! I love Kate’s blog and appreciate you following mine as well. What a terrific title! Thanks for the follow. You seem like my kind of blogger! Hi there! I was actually just checking out a few of your posts and wanted to thank you for sharing your personal thoughts and experiences throughout this journey. I just had quick question about your blog and was wondering if you could please email me back when you get the chance, thanks a bunch! Hi Emily. Your link isn’t working. Kindly send me your email address and I will shoot you a note. Thank you for stopping by! LOVE the Book Title and I’m glad you find some aspects of cancer funny too. Some aspects of this mess have been so absurd I just have to laugh. Would love you to visit my blog, Valeriehoff.com .. recommended by the one and only Ann Silberman! Thanks so much Valerie! 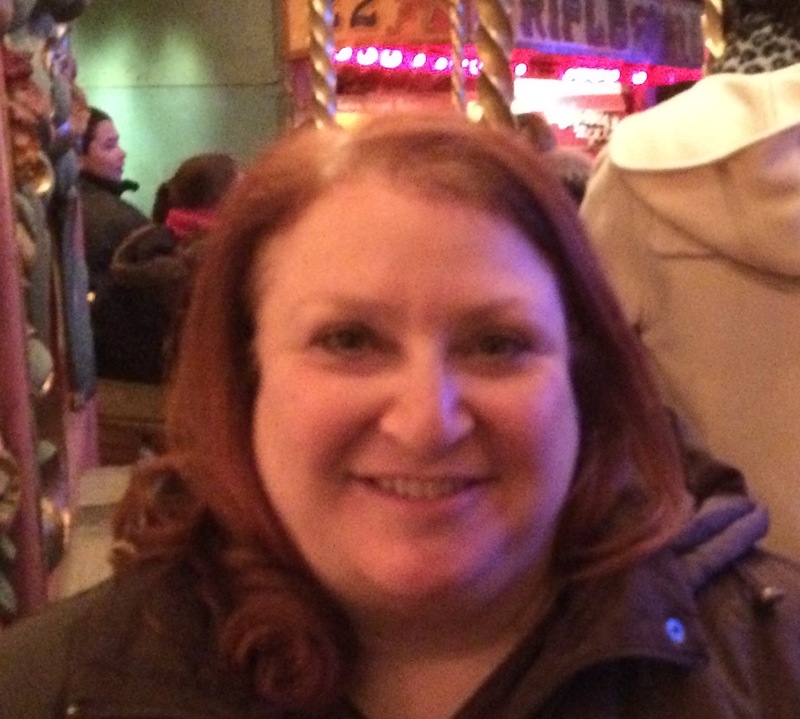 I will definitely check out your blog–the one and only Ann Silberman is my new hero! I am blown away by the incredible courage and strength of character that comes out under the worst of circumstances. If Ann can laugh at this disease, we should all be able to laugh! I hope you’ll read the book and let me know what you think! Jill, what wonderful writings! You are a muse of creativity. I read some of your posts and you’ve put a smile on my face and happy lines across my forehead. Thanks so much for sharing. Greetings to Dan. Peace, love, and adventures in writing. Thanks Judith! I think of you often-who knew the twists and turns our lives would take? All in all, it’s pretty good stuff! Thank you Jill for continuing to be the source of many smiles and laughs. I LOVE MY SHIRT!!!!!!!! What a delightful surprise! Thank you, thank you! I’ll wear it with pride and more smiles. Also, I must tell you that I too, have been dubbed “Mrs. Roper”. It happened when I wore a particular caftan to our mutual and lovely friend’s house. I got an even nicer one, so now I also answer to “Mrs. Thurston Howell III”. Cheers to you, your musings and Mrs. Roper! Thanks Theresa-so glad you’re enjoying. It’s my favorite shirt too. I really admire a girl who can pull off a caftan. Mrs. Roper, Lovey Howell, Maude–by any other name you are just as sweet! Congratulations on starting this journey and thank you for inviting us along! Consider me ‘on board’!! !